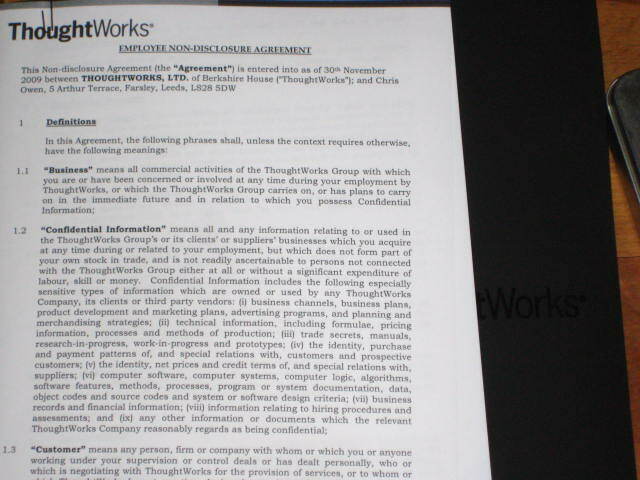 Quick post to say that on Friday morning I received my acceptance letters from ThoughtWorks. This means I can finally close the door on one Saga (and open the door to another one). All in all it should make for an interesting start to the New Year.